The Saints have again made the decision to cut Khalif Barnes, Christopher Dabe of NOLA.com tweets. New Orleans promoted linebacker Chris McCain from its practice squad as well, per Dabe (on Twitter). The moves came as the Saints activated Sheldon Rankins and relocated James Laurinaitis to IR. Barnes has vacillated between free agency and the Saints throughout the season but has yet to play in a game this year. Given the pattern that’s formed this season, the 34-year-old tackle could return to the team at some point. 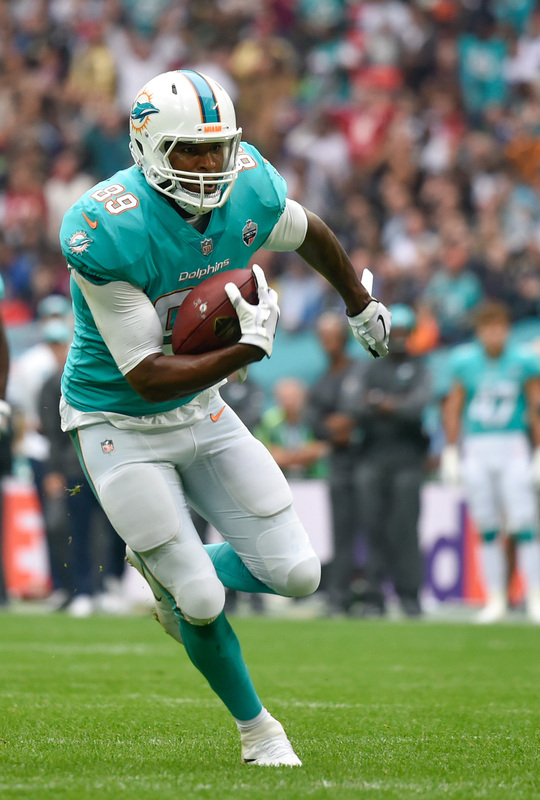 After moving Jordan Cameron to IR, the Dolphins are promoting tight end Thomas Duarte from their practice squad, James Walker of ESPN.com tweets. Miami’s also opted to activate linebacker Zach Vigil. A wideout/tight end hybrid at UCLA, Duarte came to the Dolphins as a seventh-round pick. He’s spent the season on the practice squad. Vigil spent the first half of the season on the NFI list. He made 11 tackles as a rookie last season, one in which he played in all 16 Fins games and made two starts. On a day when another major injury affects the Chargers‘ depth chart, they also made a lower-profile move, announcing the signing of inside linebacker Deon King from their practice squad. They in turn waived tackle Tyreek Burwell, who played in three games this season and nine for the 2015 Bolts. King is a UDFA from Norfolk State who won the Buck Buchanan award given to Division I-FCS’ top defender. The Bolts now have this award’s past two recipients in their linebacking corps, with Kyle Emanuel having won it in 2014. The Jets claimed tight end Eric Tomlinson off the Texans’ practice squad and waived linebacker Victor Ochi, Seth Walder of the New York Daily News reports (via Twitter). Ochi played in two games this season and started one for Gang Green. A UDFA, Tomlinson has yet to play in an NFL game. New York ruled out Kellen Davis for Week 9 and now have four tight ends on their roster, pointing to Davis’ injury being potentially significant, Rich Cimini of ESPN.com writes.